Cold-Fusion uses ultrasound, bonding hair with no damage offering the best way to attach hair extensions. Our hair extension specialists are certified by Great Lengths. Keratin hair extensions can be cut to style your hair the way you always wanted it to be! 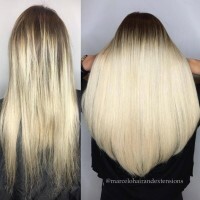 Keratin real hair extensions by Great Lengths, come pre-tipped and are bonded to your hair using the cold-fusion technique. Unlike traditional bonding, requiring to warm the area to glue, Cold-Fusion uses ultrasound bonding with no damage offering the best way to attach hair extensions. Keratin hair extensions can be cut to style your hair the way you always wanted it to be! By using keratin bonded hair extensions, you get naturally looking hair to match your current hair using 100% REAL Hair. 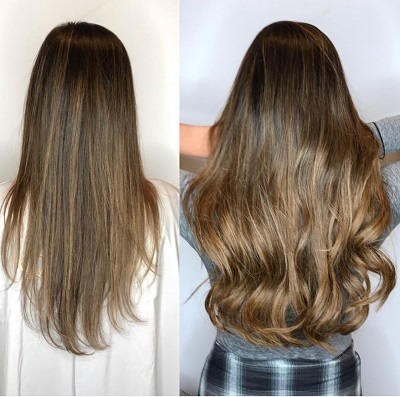 Unlike Tape extensions and clip-ins, these bonds are small and almost undetectable giving full natural movement and no feeling of beads in the hair. 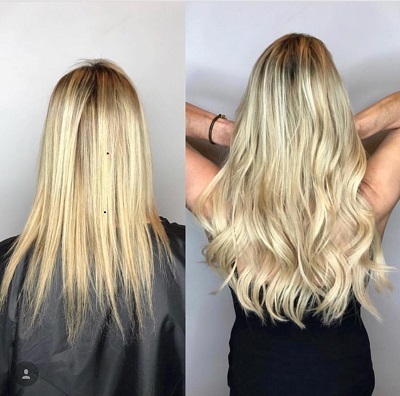 Semi / Permanent Keratin hair extensions are the best type of extensions, providing a natural look and complete flexibility, giving you full confidence that you will look your best! 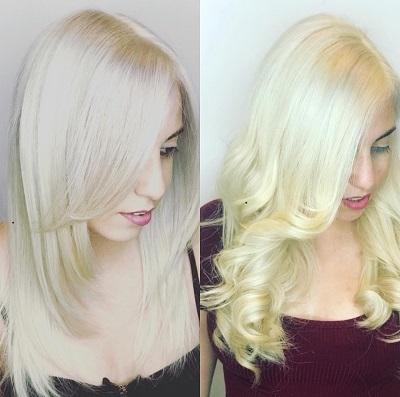 Looking for recommendations on what you can do to your hair with Bond Extensions? Schedule a consultation with one of our hair extension experts. Are Keratin Hair Extensions Real Hair? YES! At Avant-Garde Salon and Spa, we use 100% REAL Hair. Avant-Garde Salon is a Premier Certified Partner of Great Lengths. Great Lengths is known for having the best quality real hair available, offering many colors and variations to match most hair. How long do semi-permanent Bond Extensions last? As in all things in life, the better you take care of it the longer it will last. Keratin Tip Hair Extensions are permanent bonded hair extensions lasting 4 to 6 months. 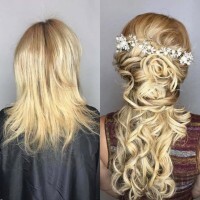 Extensions can be re-used up to 3 times. To provide proper maintenance, wash hair 2-3 times a week so hair does not dry out, while not allowing too much oil to accumulate reducing the life of the tape. 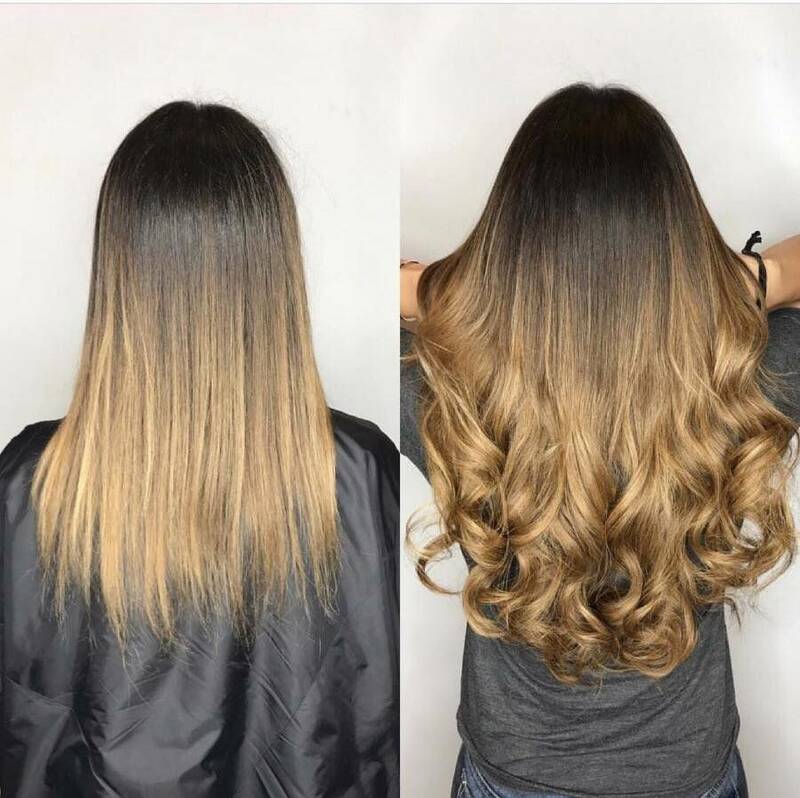 Can I color or add highlights to my bonded hair extensions? 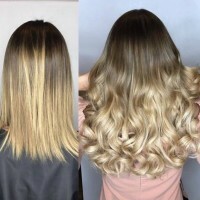 Once you have a particular hair shade chosen, in most case you can change a few shade levels but it is best to sit with one of our hair experts to get full details on what can and can not be done with your current hair extension. 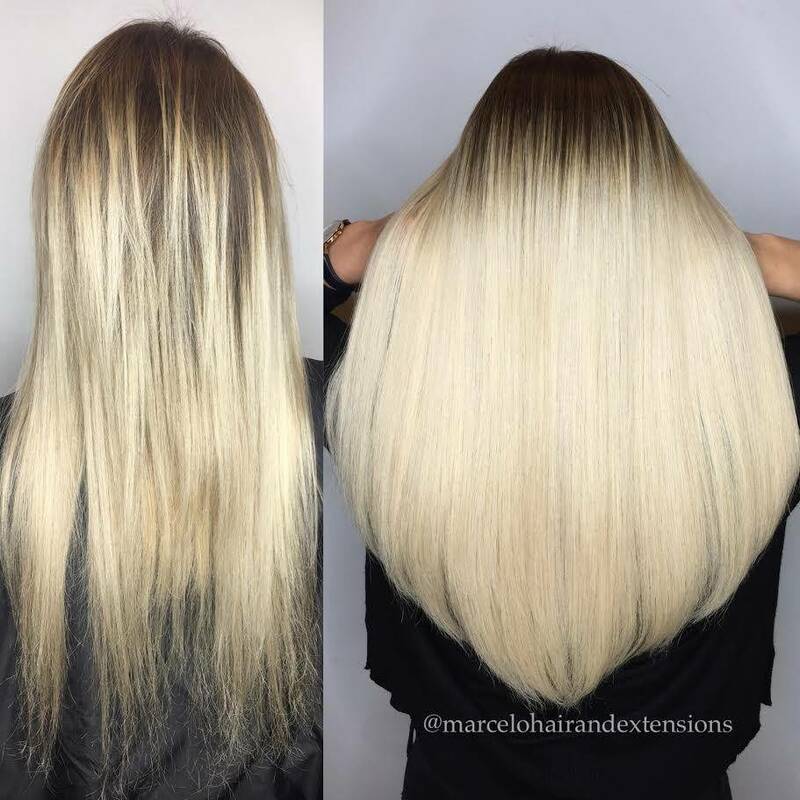 Click to LEARN MORE ABOUT HAIR EXTENSIONS on our Hair Extension Page for full hair lengthening services are available in our Miami Salon located in Coral Gables, FL. Contact Avant-Garde Salon and Spa Miami salon team for Hair Lengthening Consultation. We will assign one of our Professional hair extension styling experts to work directly with your needs. We look forward to hearing from you and creating your next hair style in our Coral Gables Salon. *Appointments lasting 2-hours or longer require a credit card placed on file upon scheduling. The Best Hair salon for cold fusion extensions. 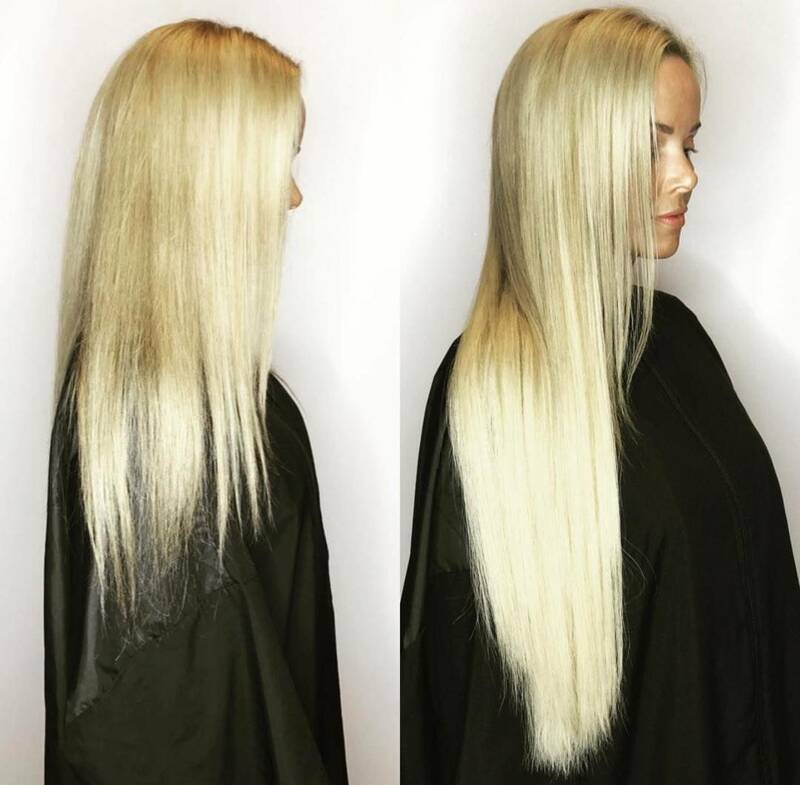 Avant-Garde is s Great Lengths extension salon providing cold fusion hair extensions. Great Lengths hair extensions come in many hair extension lengths. South Florida’s Platinum Certified Great Lengths hair salon. If you want to know the best hair extension lengths for you, get a hair extension salon consultation at our hair extensions Miami. Get longer lasting extensions by getting keratin hair extensions. Our keratin tip hair extensions will provide long lasting hair extensions for your permanent hair extensions bonding. Looking for different types of hair extensions for permanent hair extensions, semi-permanent hair extensions, tape in hair extensions salon or possibly clip in hair pieces. Visit Avant-Garde Salon and Spa today to learn and get the best hair extensions!